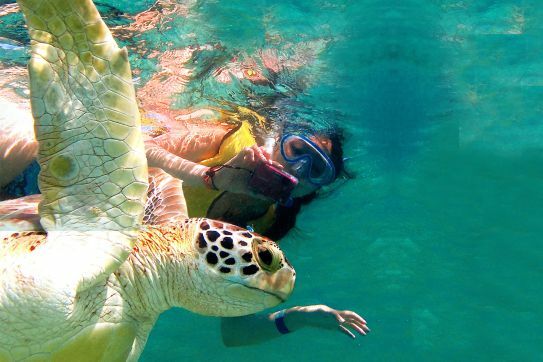 Visit Turtle Reserve and Cenote. Snacks and drinks (Fresh waters). $ 70.00 USD Juniors 5 - 9 Years. Free, Infants under 0 - 5 Years. Entrance to Tulum swim with turtles. Fins for swimming with turtles. Visit Cenote Caracol. Visit to a cave. Snacks and beverages (Fresh water). $ 91.00 USD Juniors 5 - 9 Years. 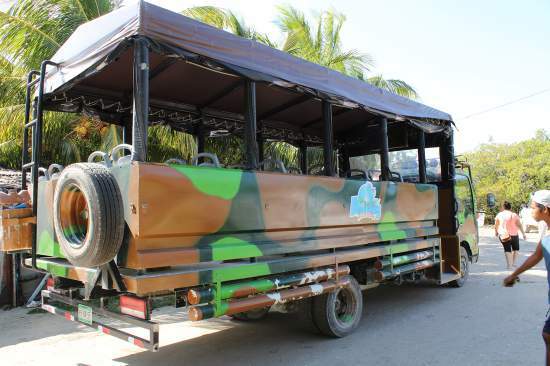 Transportation included from Hotel Lobby or meeting point. Water, soft drinks or beers in the transportation. 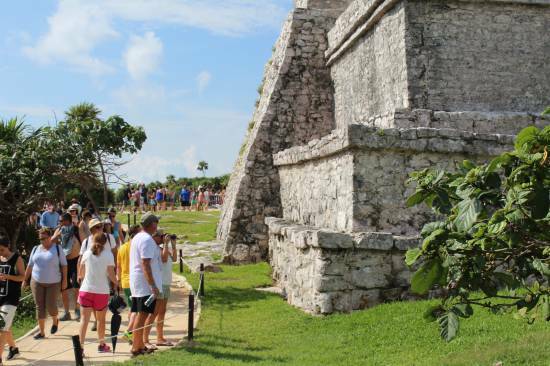 Entrance to the Archaeological area with guide. $ 68.00 USD Juniors 5 - 11 Years. Light breakfast (Continental). Drinks (water and soft drinks on board). 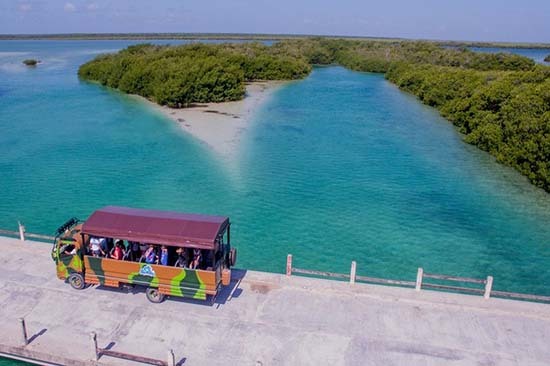 Tour Isla Contoy (certified guides) leisure Beach in Isla Contoy. $ 104.00 USD Juniors 2 - 10 Years. Free, Infants under 0 - 2 Years. 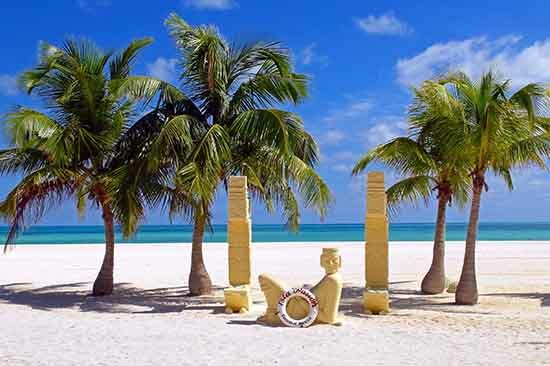 Pick Up in Puerto Morelos, Playa del Carmen and Riviera Maya. Transportation with air-conditioner , Van. National open bar on the Catamaran. 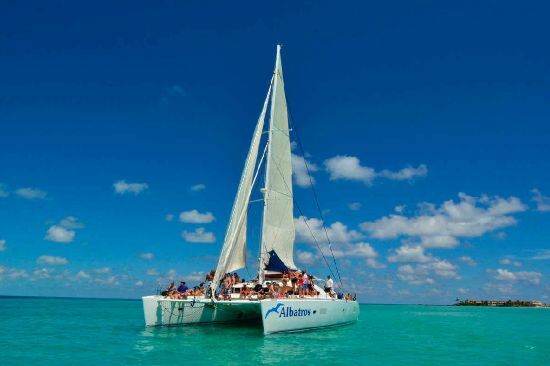 Tour snorkeling on the reef called El Farito or visit the muse. (If weather permitting). Snorkel equipment. 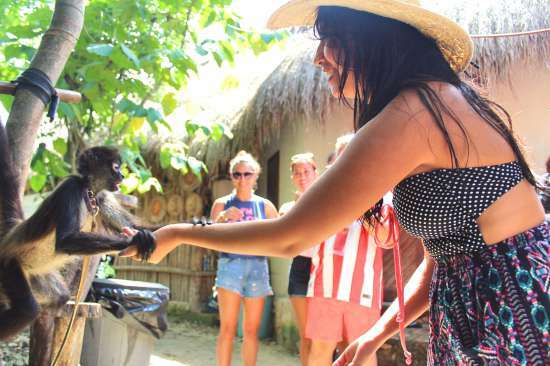 Visit to the downtown of Isla Mujeres (tour of North Beach or shopping). Beach Club with sun chairs to relax. Flight in Spinnaker (If weather permitting). Feast of the Tequila during the return of Isla Mujeres. Picture with the cat shark. $ 58.00 USD Juniors 5 - 10 Years. Pick ups in hotels, Van transportation. Arrival at the base in Tulum. Arrival at a small village of Punta Allen lobster weighers. Search and observation of the animals,( starfish, turtles, rays and dolphins). Visited Isla de los pájaros where we will see Pelicans and cormorants. Visited the clear waters of the natural swimming pool or blanquizal. 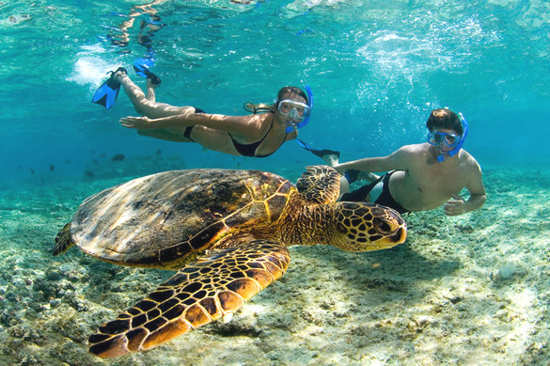 Snorkel in the second largest reef in the world as long as weather conditions permit. Visit the Black Lagoon. Including base food: buffet (chicken, fish, soup, salads and fruit of the season). Drinks included: water and soft drinks. It includes beverages (water and soft drinks) at the boat. $ 158.00 USD Juniors 5 - 12 Years. Pick ups in hotels, shuttle van. Travel 50 km through the reserve. Arrival at the small village of Punta Allen lobster weighers. Tour boat of maximum 6 passengers. Search and observation of the animals, starfish, turtles, rays and dolphins. Visit the clear waters of the natural swimming pool or blanquizal. Including base food: buffet (chicken, fish, soup, salads and fruit of the season). Drinks included: water, soft drinks and beers and tequila on board. It includes beverages during the boat . $ 133.00 USD Juniors 5 - 10 Years. Round trip transportation with air conditioning van from your lobby hotel or meeting point. $ 56.00 USD Juniors 5 - 11 Years.